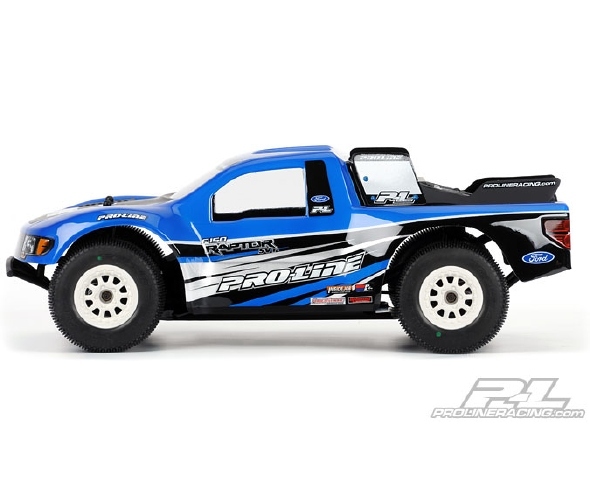 This is a Pro-Line Ford® F-150 SVT Raptor Clear Body for Jammin SCRT10 & OFNA Hyper 10SC. 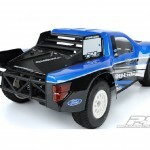 Ford® fans here comes the ultimate off-road Short Course body with SVT Raptor styling! 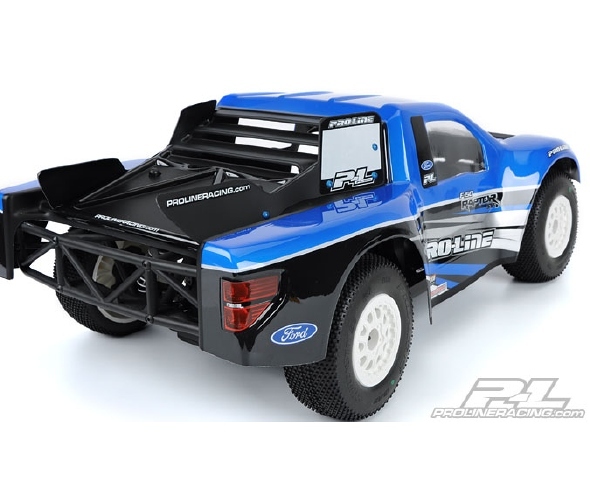 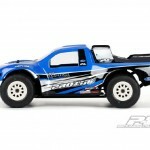 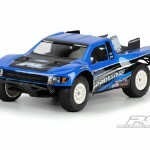 The Pro-Line Ford® F-150 race body for your Jammin SCRT10 & OFNA Hyper 10SC. 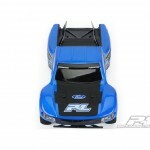 4.) 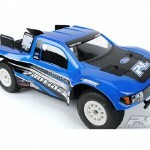 Mount your new Ford® F-150 onto your Jammin SCRT10 or OFNA Hyper 10SC. 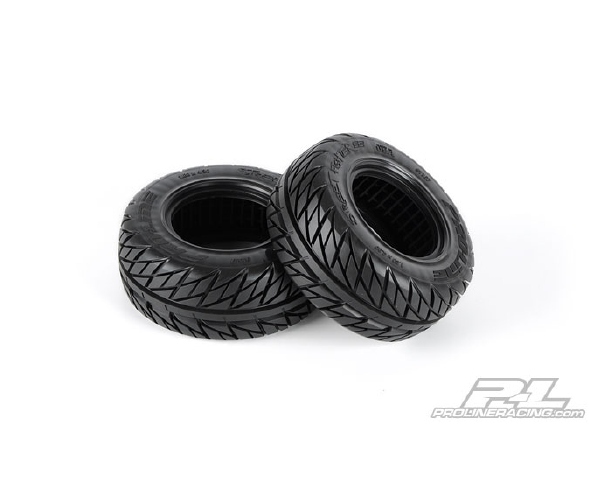 Sniper SC 2.2″/3.0″ M3 (Soft) Tires Mounted on Renegade Black Wheels for Slash Rear, Slash 4×4 & Blitz Front or RearThis is a pair of Pro-Line Sniper SC Tires Mounted on Renegade Black Wheels. 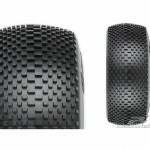 Honey, I blew up the Hole Shot! 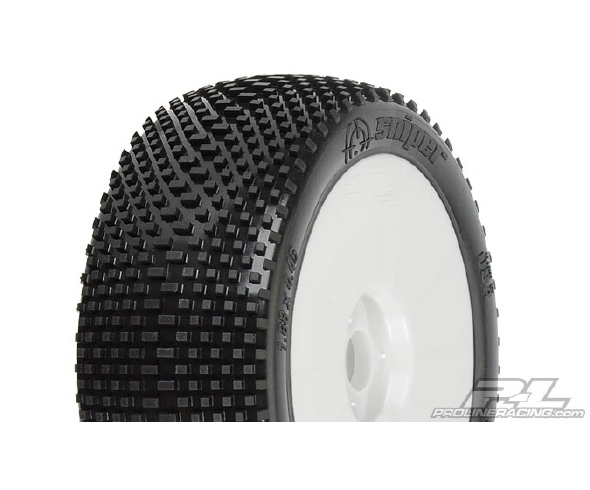 The Sniper uses the same design philosophy and technology as the Hole Shot, but scaled up to work on looser and dustier track conditions. 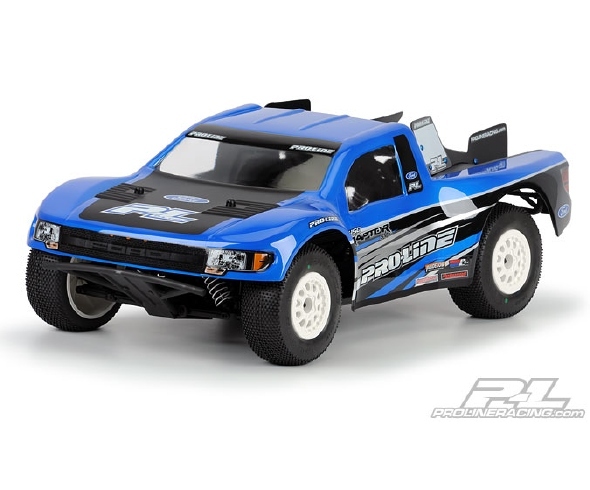 After initial testing, Pro-Line team drivers Ryan Cavalieri and Travis Amezcua are already sold on the tire saying that the Sniper offers awesome forward traction and side bite on a variety of track conditions. 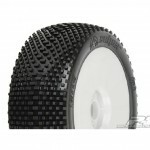 The bigger pins also provide longer wear, giving you lasting traction through long A-mains. 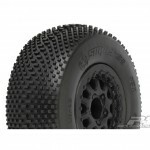 Eliminate the competition by picking up a set of Pro-Line’s new Sniper tires. 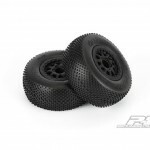 This is a pair of Pro-Line Sniper 1/8 Buggy Tires mounted on V2 White Wheels. 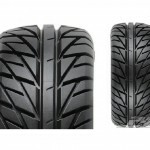 Honey, I blew up the Hole Shot! 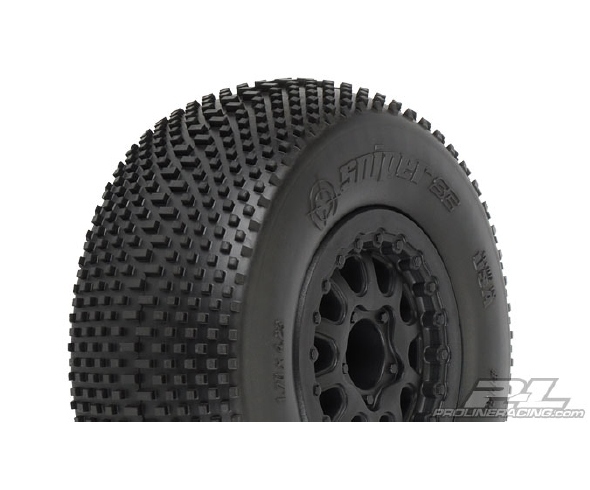 The Sniper uses the same design philosophy and technology as the Hole Shot, but scaled up to work in looser and dustier conditions. 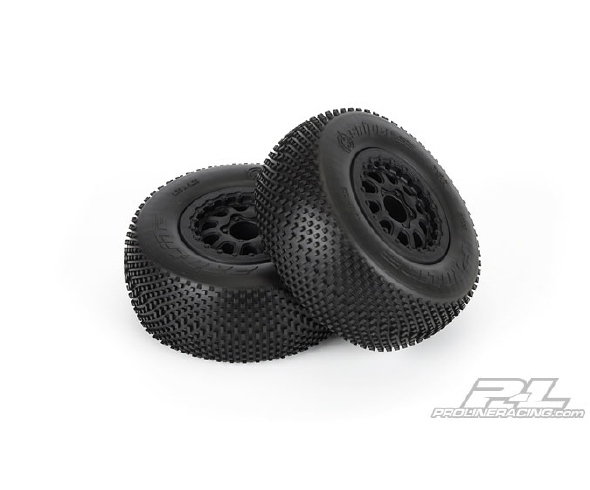 After initial testing, Pro-Line team drivers like Ryan Cavalieri and Travis Amezcua are already sold on the tire saying that the Sniper offers awesome forward traction and side bite in a variety of track conditions. 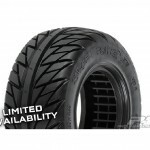 The bigger pins also provide longer wear, giving you lasting traction through long A-mains. 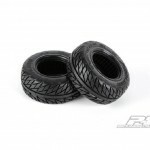 This is a pair of Pro-Line Street Fighter SC 2.2″/3.0″ Pro-Core Tires. 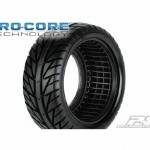 Pro-Line Racing is proud to introduce the new and innovative Pro-Core tire technology. 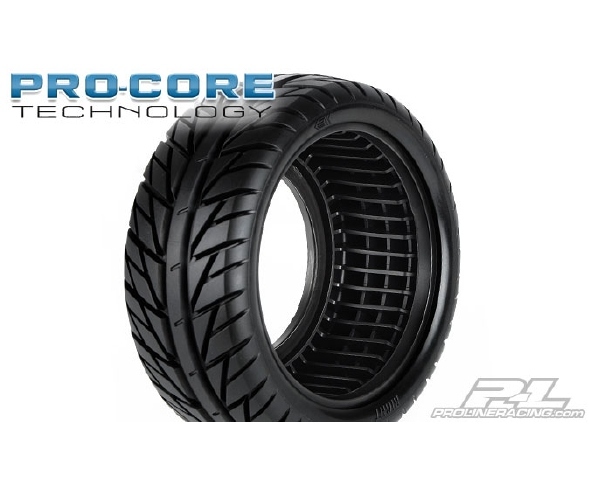 This technology is so new that it is still under development by our R&D department, but we were too excited to keep it to ourselves. 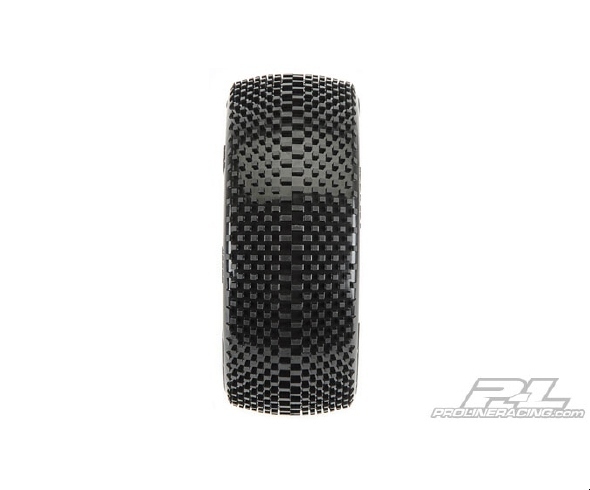 Be a part of history and join us in testing out this ultra-durable and high-performance technology. 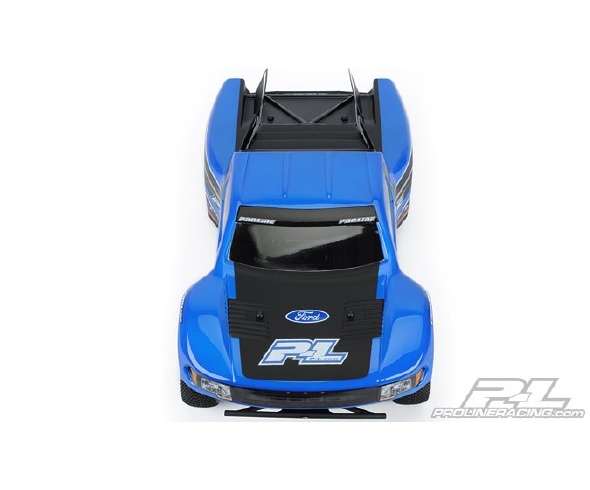 This is only available for a limited time and only available direct from Pro-Line, so be the first to test out this new technology and provide feedback to our development team! 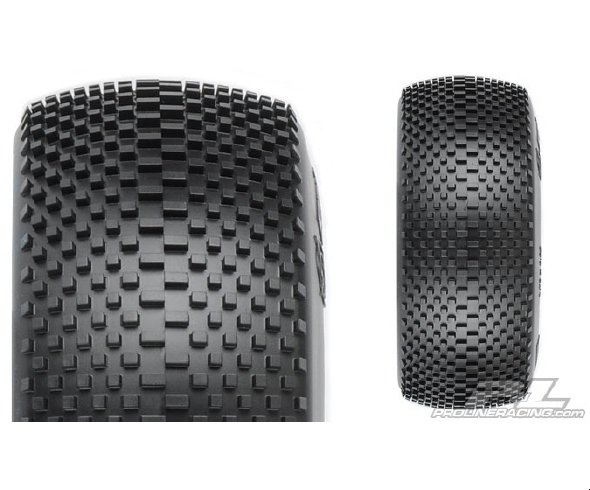 Looking for the ultimate long wear street tire? 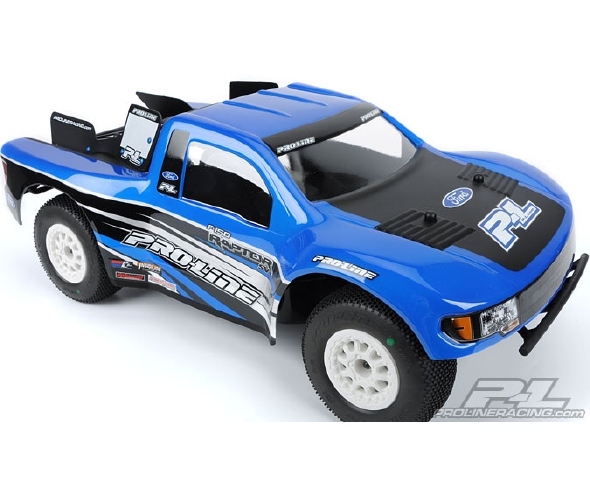 Then check out Pro-Line’s Street Fighter SC. 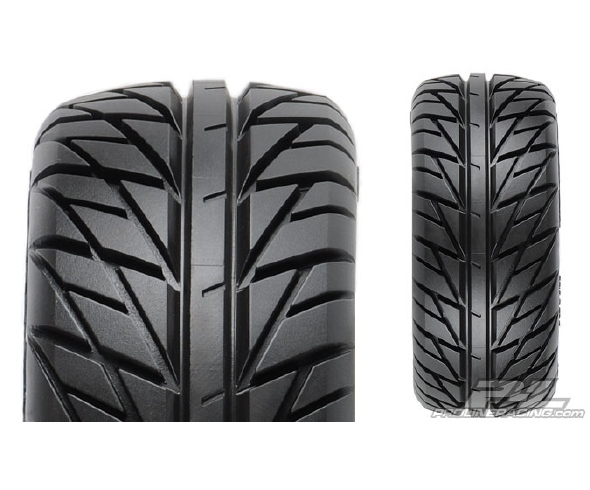 Based on the latest in high performance on-road tire technology, the Street Fighter SC has the perfect balance of G force enhancement and style that will keep your truck turning heads. 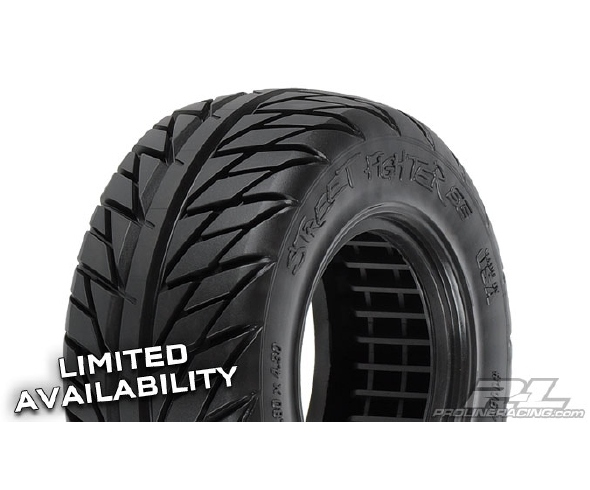 The Street Fighter SC tire features Pro-Line’s advanced Pro-Core technology eliminating the need for foam inserts and making it one of the most durable tires ever made. 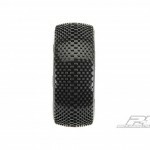 Get your set while supplies last!